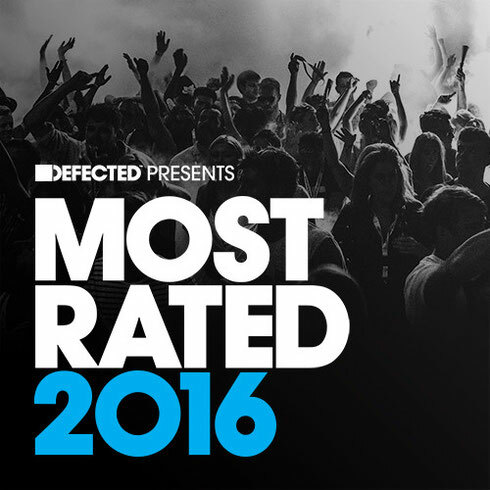 ‘Defected Presents Most Rated 2016’ is the latest instalment in the series of upfront house music collections, featuring cuts from Purple Disco Machine, Eats Everything, Huxley, Duke Dumont Tiga, Denney and many more. 2015 has been yet another good year for house music. From underground club anthems to crossover chart-topping hits, the wealth and variety of house created, played and danced to has been pretty special, and it is this that Most Rated 2016 celebrates by touching on the big moments of the last 12 months as well as showcasing those records that may well prove to be the future hits of 2016. Included here are several Traxsource chart-toppers including Purple Disco Machine & Boris Dlugosch ‘L.O.V.E.’, Kings Of Tomorrow Feat. April ‘Burn So Deep (Sandy’s Deep Burn)’ and Tim Deluxe ‘Tryin' Find A Way (Club Mix)’, all of which fly the flag for soulful house music. Cuts from the techier end of the house spectrum include Technasia & Green Velvet 'Suga' and Denney 'Low Frequency' – both of which topped Beatport’s overall chart – as well as Siege’s ‘Crunk’ and Damian Lazarus & The Ancient Moons ‘Vermillion (&ME Remix)’, the latter of which was named Essential New Tune by Pete Tong. An additional 20 tracks along with three bonus DJ mixes are included on the digital version.